All statement skirts are not made equal. I have my favorites, but I’m always on the lookout for unusual skirts that call for crop tops, blazers and and sass - to match the blond wig of course! Statement skirts are like false lashes or winged eyeliner. Sometimes things go wrong, terribly wrong! I’ve been shopping statement skirts forever, and to be honest, after a while, everything starts to look the same or doesn’t really look the way you hoped (when shopping online). When in doubt, it’s important to shop with brands who give you the best quality. 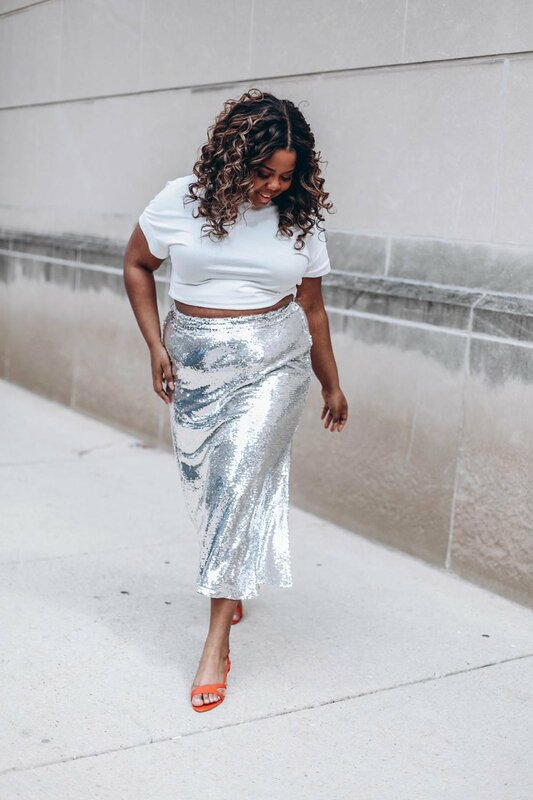 Statement skirts can be soooo good (and so expensive) so you want to get a few wears out of any statement skirt you buy. Additionally, you want to shop your mood and your lifestyle, two elements which should make it easier to spot those truly one of a kind statement skirts that speak to your soul so loudly that you don’t mind paying for shipping. Here’s a roundup of the coolest statement skirts on the internet right now! In case you’re wondering, I shopped Asos Curve, Boohoo and Eloquii!